We Sci-Fi lovers, are more and more the victims of short-sighted producers when it comes to the continuation of our favourite series. These shows increasingly never see a proper ending due to bad programming, ratings and... the power of money! Of course these points are important, but production companies treat Sci-Fi as a business. Profit, that's their only concern and the shows are only alive as long as they make money and attract big ratings for their advertisers. BUT if there's a possibility to change things, would you take that chance? 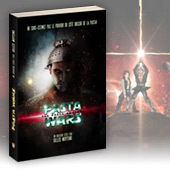 Well, Space Opera Society is trying to affect change and they need YOUR help to make the dream come true. If each of us gave a few dollars, we would be showing Hollywood that we have had enough! Give those companies a signal that we fans are tired of their lack of respect. A show is canceled due to poor ratings? Fine. But at least give us a chance to watch a proper ending, give us the respect by producing the final episodes. We’ve given them our time and faith, it’s only fair to give us closure, in return. Respect the fans as well as the creative teams that have put all their energy in creating these shows! Space Opera Society is NOT working like these companies. It's a non-profit company focused on quality and you. YOU decide if a show must continue. The final episode of V ended with a frustrating cliffhanger... that will never be resolved. With SOS, you'll never get this frustration. They respect you because you are the ones that makes these shows live and breathe. You will be in control as investors. Here, we have a great opportunity to make things change! SOS aspires to become THE virtual meeting place for lovers of science fiction, and fans are being invited to participate in the development of projects, to freely discuss their passion in an environment of respect, and of course to watch our productions. By adopting financing though crowdfunding, and a transparent business model, SOS will go where few production companies have gone before. 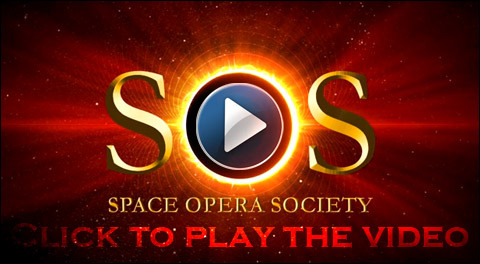 In this regard, SOS is inspired by New York`s Metropolitan Opera, as the MET Members (fans and opera lovers), and SOS donors (fans and enthusiasts of traditional sci-fi shows) know that their investment will be used for the productions, and profits will be reinvested in the development and production of new projects. 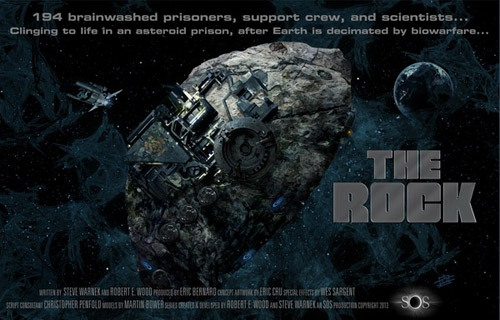 Amongst the people working or supporting the project, you have people such Special FX wizards like Space 1999’s Martin Bower, Wes Sargent, (Stargate SG-1, Atlantis, Universe), Eric Chu (Battlestar Galactica), script-editors like Christopher Penefold (Space 1999), writers like Steve Warnek (Star Trek: Deep Space Nine), Greg Norris & Laura A. Van Vleet (Both from Star Trek Voyager), actors such Kevin Sorbo (Hercules, Andromeda), Armin Shimerman (Quark in Star Trek DS9), Nick Tate (Space 1999)... and more!